Probably you are wondering if I dropped out of blog land I was gone so long. 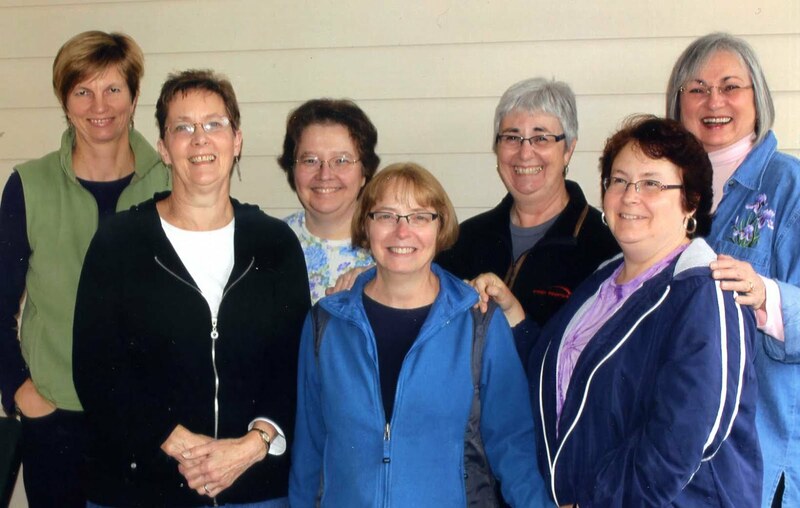 After my last post in October, my aunt decided she was moving into a nursing home full time. It was left to my sister and I to clean out her apartment. It is hard to sort through all of someone's belongings, wondering if each item is, if not necessary or valuable, something that been saved because it has meaning. My aunt was more okay leaving everything behind than we were. I am happy to report she is thriving in the nursing home. In the midst of that chaos I managed to make my Thanksgiving cards and a birthday card for a dear friend. 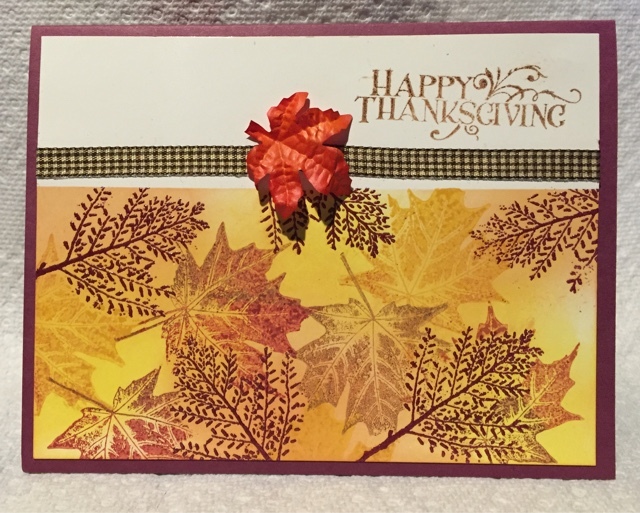 My Thanksgiving card had to be simple because of time constraints, as in 'last minute'. I have seen this technique using glossy paper in several places, but always with clear or white embossing as a resist. 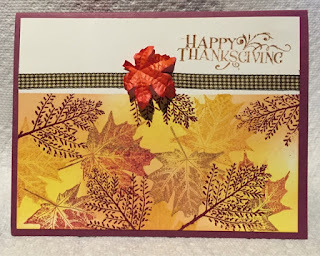 To emphasize the fall colors I used a Claret embossing powder from Rub a Dub Dub and am very happy with the way it came out. The stamps are 'real leaves' set of four from Hero Arts that I have had for ages. The colors used for the leaves and sponging are More Mustard, Fired Brick and Rusty Hinge distress inks. There might be some Orange Marmalade in there too but it really wasn't showing well with the darker colors. I added a sentiment from Inkadinkadoo, a gingham ribbon, and a leaf embellishment from my stash. 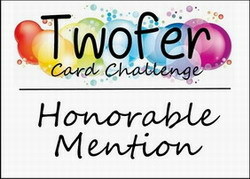 The layer was added to a Bravo Burgundy card. My friend with the November birthday is a wine lover so I knew I had to use this 'wine shop' stamp set from Purple Onion. I colored the wine barrel with Peerless water colors and made a tag with one of the sayings from the set. 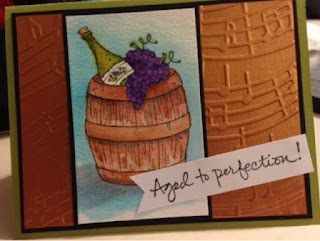 The Old Olive paper from Stampin' Up along with the black paper from my scrap bin made the card and layers. I embossed a copper shimmer paper with musical notes because I thought it went well with the rustic image. I only wish, looking at it now, I had distressed the paper a little. Welcome back to blogland! Glad you finally found some time to post!